Walmart stores are keeping pet fish on their shelves "until they sell or die" (according to a sales associate). 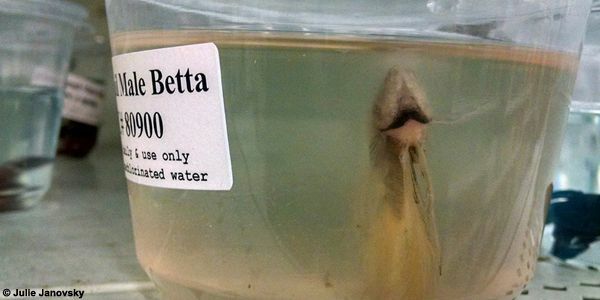 The Bettas are stacked on a shelf — the dead among the living that are barely moving. The tiny containers are filthy and don't have filters. And fish could be stacked one on top of another so the fish at the bottom don't even get air. If these were the conditions under which puppies or kittens were being sold, Walmart would be shut down and fined for animal cruelty. Why should it be any different just because these are fish? Walmart needs to get out of this fishy business. Tell Walmart — Stop selling fish in horrible conditions! Ask Walmart to give the fish full tanks with filters and proper care.